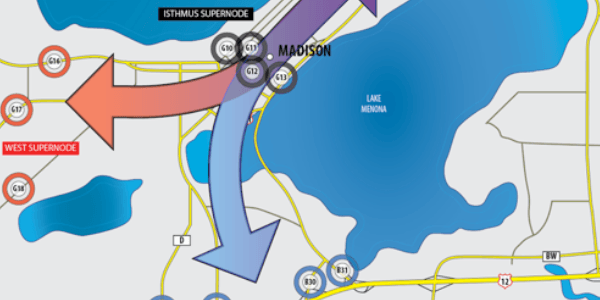 Madison Beltline Origin Destination Study - TADI - Traffic Analysis & Design, INC. Madison Beltline Origin Destination Study - TADI - Traffic Analysis & Design, INC. This innovation allowed the WisDOT to analyze field data to determine travel patterns throughout Dane County instead of relying on estimated data from travel demand models. Provide OD data for regional Dane County traffic patterns. Provide 24 hours of continuous OD data collection and identify a “typical” day’s traffic pattern. Provide travel time and other data for model calibration. Provide detailed OD data along the Beltline Highway including closely spaced intersections and interchanges. Provide a photographic log for visual calibration of microsimulation models. Provide a statistically valid data set which could be cross checked between TLAP and Bluetooth as well as the Dane County TDM. Provide OD data for trucks traveling on the Beltline Highway. The University of Wisconsin Traffic Operations and Safety Laboratory (UW TOPS Lab) and TADI developed a statistically valid analysis methodology for OD data using Bluetooth and TLAP technologies. 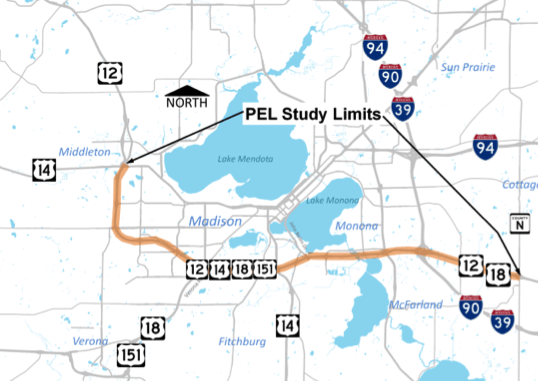 The results of the Bluetooth and TLAP OD studies were compared to one another and to the Dane County travel demand model for accuracy and the resulting research paper was published by the Transportation Research Board. This innovation allowed the WisDOT to analyze field data to determine travel patterns throughout Dane County instead of relying on estimated data from travel demand models. The results have been highly accepted by the public and been extremely valuable in the screening process to determine the viable alternatives and those that will be eliminated by the study.